For any practice, the aim of successful billing is to to get the highest return on investment. Though initially the cost of outsourcing billing processes can seem like an additional cost, practices should fully consider the cost of in-house billing management. The salary of employees involved in the process, compared to the cost of outsourcing, can typically cost 18% to 26% more than their salary. Besides staff salaries, costs such as payroll taxes, FICA and insurance, time off for sickness, and administrative costs are all factors to take into consideration. 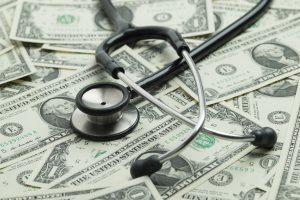 Many clinics find that outsourcing the billing function can save money on overhead costs and employees’ wages. It is also important to consider the level of expertise required for dealing with the billing process. Staff need to have up-to-date coding knowledge, which requires continual time and resources. If in-house staff does not keep up-to-date they may face issues and find it difficult to receive maximum reimbursement from insurers. Miscoding and errors by staff can cause rejected claims and delayed payments. On the other hand, medical billing services take care of data entry and claim submission on your behalf. Medical billing companies have advanced in-house processes that will help you to receive the maximum amount from insurance companies. Systems such as The 5 Star Billing process from Dr. Billing, have a high level of accuracy to ensure your checks come in faster. An added benefit of outsourcing billing that practices often find is that they can avoid the concern for the billing employee choosing to leave the practice. The stress involved in billing can be particularly high, and can result in ongoing employee turnover which can affect the entire cash flow of the practice. By outsourcing the billing function, the employee turnover concern is eliminated and you can hand over the function to an experienced and reliable medical billing service. Using a billing provider can have considerable technological benefits for your practice. For example, you can reduce record storage space, and you won’t need to purchase the latest billing software, which can be expensive. It will also help to reduce call volumes, take up less staff time and help with practice efficiency. By outsourcing your billing function to a responsible provider, you will be more likely to maximize your return on investment, for example by utilizing coding specialists with clinical experience with up-to-date knowledge. For more information on how outsourced billing solutions can help to benefit your practice, contact us online or call us at 480-821-1371.